Own a CNC? 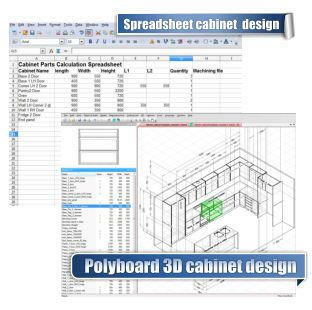 Still using the stock spreadsheet design application to produce your cabinets? Read on... Over the last (almost) two years since we started promoting our software range to Australian cabinetmakers and joiners we have noticed that that among recent adopters of CNC routers for cutting and nested based manufacturing there is a significant trend towards customers favouring Biesse supplied cnc machines. From what we can tell part is due to the brand recognition and reputation, but another part is due to Biesse making the entry cost of CNC lower by supplying together with its machines. Traditionally when a customer was looking at buying a new CNC, in addition of the machine itself, they also had to consider the additional cost of design software on top of the machine cost. This obviously raises the bar and makes a bigger entry barrier for smaller companies facing the prospect of large financing loans to get into CNC and the befits to production that it brings. To view the full blog article click here! Using Polyboard for designing custom kitchens Polyboard is a unique & powerful tool for designing and manufacturing built in furniture. whether you produce standard kitchen fro ma standard cabinet library or if you pride yourself on being able to produce custom cabinet designs and features Polyboard will work for you and make your manufacturing process so much more efficient and profitable. Polyboard as many unique features that will enable you to design special kitchens with the utmost style creativity and efficiency including: • Full cabinet construction method control • Easy build custom cabinet libraries using your own construction methods for regular, and corner cabinets (bi- fold and 45 degree) • Extend you cabinet library to include all specials like for example: rangehood, oven, glass door display, shadowline, cabinet with voids and even curved shelves • Design other components like kick- frames, and bench tops (laminate or stone) complete with workshop drawings including mason mitre joints. • Arrange your cabinets in a room and show of your design with rendered surfaces. Automatically produce detailed shop drawings and job costings • Export cut-lists, to Opticut or other saw optimiser. Export parts to CNC PTP machine centre or flat-bed nesting router via Optinest or other CAM software. 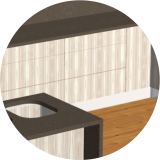 To view the industry page on creating custom kitchens with Polyboard Click here! February - March 2013 Welcome to the second Newsletter for 2013. As promised last month we have continued work on our industry specify information pages so that you can clearly see how our design and optimisation software will benefit you in your specific industry. 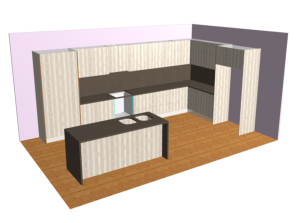 So this month we have completed the custom kitchen design page. This is an important one for us as we know custom kitchens represents a significant proportion of the work that custom cabinetmakers and joiners produce, So you will see the benefit that our special application Polyboard has to offer the custom kitchen industry. 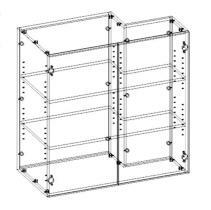 Next we have a new article in our Blog section that is focused on those cabinetmakers who are using a spreadsheet based cabinet design application like the one supplied by Biesse with Biesseworks \ nest. Although focused on Biesse machines Its relevant for anyone still using a spreadsheet design application as it goes through the benefits that would be gained by those designers moving up to a full 3d visual design package like Polyboard. There is really no reason to stick with outdated spreadsheets, as Polyboard gives everyone access to advanced features at a very reasonable cost. Lastly we have a reminder about the special we are offering on a combined Polyboard / Opticut package deal that will end on the 28 of February. Last days for our Package deal on Polyboard & Opticut We make a big deal about Polyboard’s amazing capability when it comes to CNC machining. But there are many people who don’t need, and most likely don’t want he hassle of CNC Machines. Of course if you are of this type, Polyboard caters for you too and exports cut-lists that can be used as is or the can be instantly transferred into Poly bard’s add-on application Opticut. Your parts can be in a few seconds optimised efficiently onto sheets ready to be cut on your panels saw saving you time and material. We currently have a special until the end of February on mid version Polyboard & Opticut as a package deal. Saving you over $500.00! To view our software on-line ordering section click here! Did You Know? 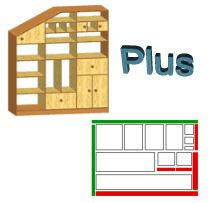 As of late last year the new version of Polyboard includes a full featured measuring tool. 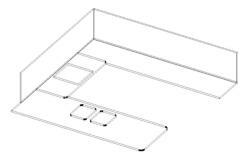 The measuring tool can be used to easily find the distance between cabinets, or cabinets and walls. The tool enables the user to easily take horizontal, vertical and even 3 dimensional measurements. This makes it very easy to be able to set the size of cabinets and also the determine gaps than need to allocate d for appliances and also to check spaces for opening of cupboard doors. 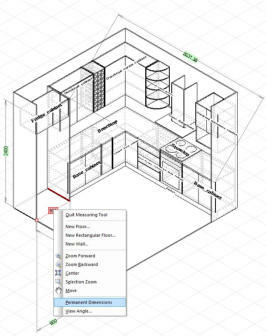 The dimensions that are shown when using the tool can be temporary (red colour) just to see the value or they can be made permanent (green colour) and will be added to the dimensioned workshop drawing. To make a dimension permanent simply right click the dimension label and select ‘Permanent dimensions’ from the menu.